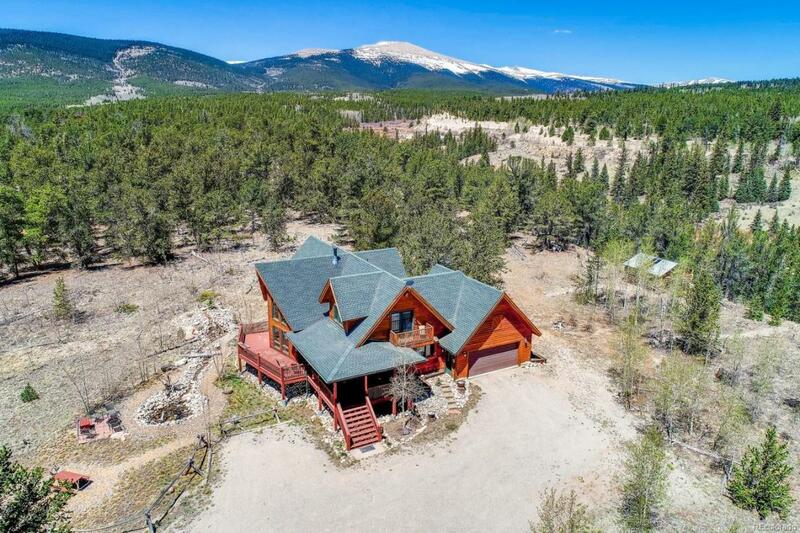 Gorgeous 35 acre mountain property in Fairplay! This home offers luxury in every way w/ 2 master en suite bdrms. 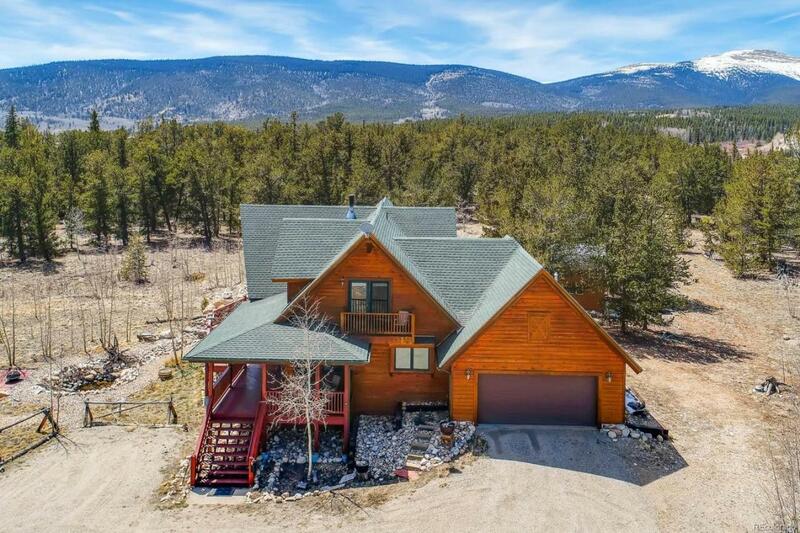 The great rm is the perfect spot to cozy up on a cold night thanks to the 2-story ceilings, hardwd flrs, large windows & free standing fireplace. The gourmet kitchen offers dark granite w/ light hardwd cabinets & a tile backsplash. The kitchen also has dual sinks, stainless steel appliances & a breakfast bar. The main flr master offers a private balcony along w/a 5-piece bth w/an oversized soaking tub, & dual sink hardwd vanity. A secondary main flr bdrm also has a private balcony. 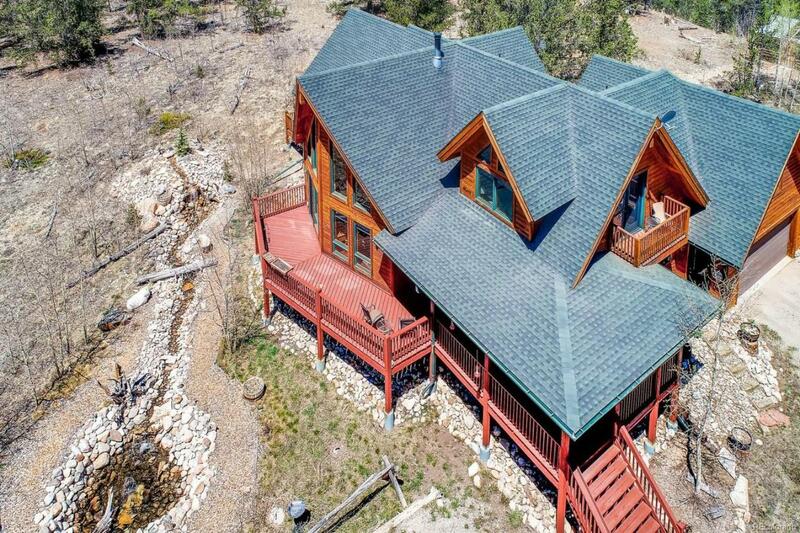 The upstairs master bdrm exhumes luxury w/vaulted ceilings, hardwd flrs, a private balcony & an en suite bthrm. The basement presents 2 large bdrms as well as a large family rm w/wet bar & built-in speakers. The covered deck is the perfect place to relax on a warm summer day. Never get bored exploring your 35 acres! HOA fees cover a fish stocked pond as well! 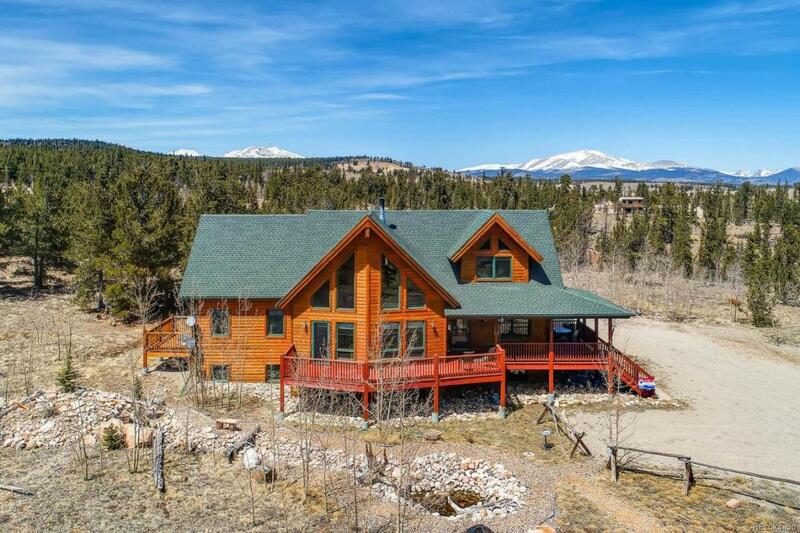 Dont wait to make this home yours.